The Chinese people’s favourite metaphor for the Yellow River is “yellow dragon.” The great waterway winds its way through China’s mountain landscape until it breaks on to the North China Plain, a vast agricultural region derived from easily eroded loess soil. As it twists eastward toward the sea, it remains tamed, and in its wildest moods it has wiped out villages, towns and fields. A most dramatic twisting of its tail occurred in 1855 when torrents of flood water burst the river’s banks in Henan province, rushing 200 kilometres northeastward and flowing into the Bohai sea. Since then, the river has stayed more-or-less within in its new course. It has formed a new delta of 5,450 cubic metres. After 1855, farmers moved in and out of that delta, and land was reclaimed and lost again to the floods. Eventually, when the People’s Republic was established in 1949, the river was stabilised by engineering methods and the ever-expanding delta invited people to think about its undeveloped potential for wealth. No word in Chinese history after the Opium Wars of the mid-19th century has haunted the dreams of people more than “modernization". But in Mao Zedong’s era, the ideal became the core of Communist Party Policy and was pursued on a large scale. What Premier Zhou Enlai called the “Four Modernizations”—industrial, agricultural, scientific, and military—became the revolutionary’s mission. 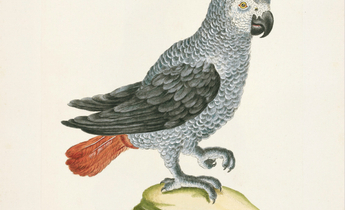 Leaders of the People’s Republic hoped that nature would be modernized along with society. The new government set out to transform the Yellow River wilderness. It faced a daunting marshland covered by reeds and shrubs, brackish water and millions of wild migratory waterfowl. State-owned farms clustered in the west and south of the delta where the soil was less saline and where fresh water from the river was easier to divert. In 1964, a state-owned company discovered oil in the delta and developed the nation’s second largest oil field, called Shengli (or Victory). After briefly falling stagnant during the Cultural Revolution, drilling and pumping of the oil field resumed and at last the four modernizations seemed to lie within reach. But while nature offered a bonanza of fossil fuel energy and other exploitable resources, nature also came to represent more than purely utilitarian values. In 1956, the Chinese state established its first nature reserve, Dinghu Mountain in Guangdong province, declaring that preserving nature for its scientific and patriotic value should also be part of modernization. The state argued that the Chinese people should be taught to be proud of their country’s diverse range of natural species. Other reserves followed, all of them with forests filled with giant trees and colourful blossoms in mountain terrain. In contrast, preserving a wetland like the delta was not yet included in the idea of modernizing nature. 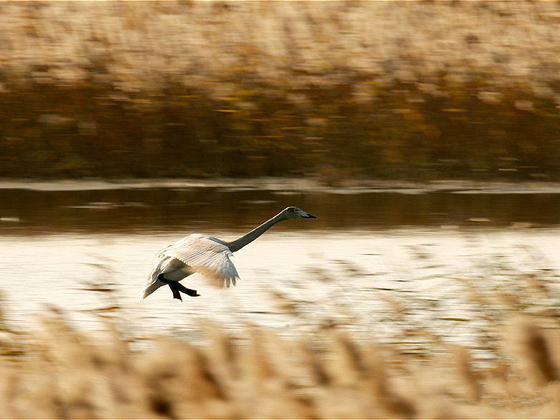 Not until 1979 was the country’s first wetland, Zhalong in Heilongjiang, established to preserve its marshy ecology and its red-crowned cranes which have long been celebrated in Chinese culture, associated as they were with long life, noble personalities and gods and goddesses. Ancient odes declare: “The crane cries in the deep marsh, and its voice is heard in the wilds/ …the crane cries in the deep marsh, and its voice is heard in the sky.” But in traditional literature and paintings, cranes were usually pictured as flying high in the sky or standing under pine trees. What restored the cranes to their preferred habitats was a new ecological understanding, promoted by organisations like the International Crane Foundation in the United States. In 1989, its director George Archibald urged China’s scientists and bird enthusiasts to follow the example of Zhalong and establish a bird reserve in the Yellow River delta. It should provide a safe haven for migrating birds flying across Siberia and the Pacific Ocean to and from China. In 1992, China became a member of the Ramsar Convention on wetland conservation, and the Yellow River Delta National Nature Reserve was established, covering 1,530 square kilometres, mainly concentrated on the newest lands created by the river. In this seemingly featureless landscape, 1,547 species of wild animals, 367 species of birds and 400 plant species lived, scientists explained. The scientists also insisted that a wetland should be seen as a valuable eco-system, functioning as the “kidney of the earth,” purifying water and land of toxic elements, replenishing groundwater, stabilising shorelines and protecting them from storms. Few people lived in the delta; within the reserve itself the human population was only 2,217, most of them farmers and oil field workers. So far, scientific and industrial modernization seemed to be compatible. The state tried to insure that compatibility by establishing a mosaic of zones in the delta: a core zone where biodiversity and eco-system were rigorously protected, along with a buffering zone lying between that core and a third, “experimental zone,” where some economic development would be permitted. Setting up the three zones seemed to offer a win-win solution, but tensions soon appeared. The biggest threat to the delta since the 1990s has come from the Victory oil field, which had become a crucial part of the local and national economy. Oil wells had been drilled before the nature reserve was established, and they were excluded from both the core and buffering zones. But then geologists discovered oil under the core zone. 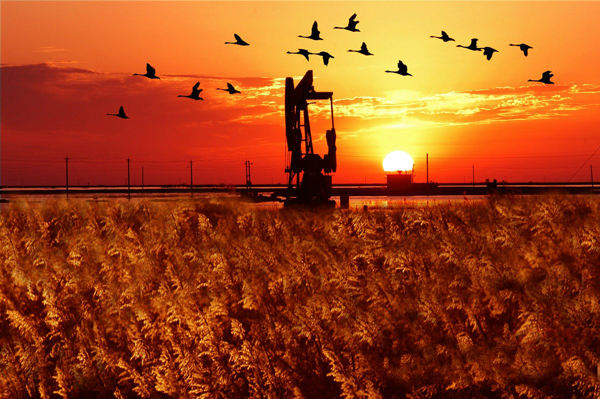 In 2001, the state council issued document number 107, which re-zoned the nature reserve, taking 200 square kilometres of oil land out of the core and transferring them to the experimental zone. The zones were not impervious, and the extraction of oil inevitability polluted all the delta land and poisoned its birds. Evidence grew that, aquatic life in the Yellow River’s mouth, whatever zone it inhabited, had been adversely affected by petroleum. On the other hand, without the existence of the nature reserve, the whole delta might have become an oil field, populated everywhere by drilling rigs, pumps, and refineries. Both the oil industry and the nature reserve represent the ideal of modernizing the human relation to nature, but they present a dramatic contradiction. China is not alone in facing such a contradiction, but the way China set out to solve the dilemma was marked with “Chinese characteristics.” All decisions were made by a few individuals in government, with no hearings and with little input from the public. This is a pattern of authority that goes deep into the Chinese past. But that authority was never simply located far away in Beijing. Power shifted from one individual to another within the local authorities. It was the local authority who made most of the critical decisions about the preservation of the delta and Beijing followed its lead. The “four modernizations” promoted in Mao’s and Zhou Enlai’s era did not include any political modernization in the form of interest groups or public participation in decision making. Deng Xiaoping did introduce the slogan, “establishing a wealthy, democratic, civilized modern country,” but it was local authorities that decided that the slogan must place more emphasis on economic development rather than nature conservation, and providing the public with ways to enjoy and consume the environment. The people became defined as tourists or as consumers, but not as participants in decision-making. They were encouraged to enjoy nature, to learn about wetlands, yet they had limited opportunity to influence the use and function of the reserve. In 2012, the Yellow River Delta nature reserve readjusted its zones once again. This time the most recently deposited delta land (land added at the mouth since 2001) was added to the core zone, but 39.33 square kilometres of the original core zone were reassigned to the experimental zone in order to develop eco-tourism. Some of the most important habitats and best preserved wetlands were subsequently turned over to the tourist industry. Most tellingly, the Yellow River Delta nature reserve bureau and its eco-tourism bureau merged under one directorship. The reserve directorship decided that six-lane highways, restaurants, hotels and giant parking lots should be constructed inside the nature reserve. They dug man-made lakes, constructed expensive boardwalks through the marshes and introduced exotic species. A facility for healing injured birds was established, but it became a zoo for tourists to view and sometimes tantalise the birds in their cages. Red-crowned cranes had their feathers clipped so that they could only fly in short loops around the zoo, in effect turning them into a spectacle for the human tourists. Ironically, the reserve managers declared that making this part of a nature reserve into a tourist resort promoted “ecological harmony,” and that phrase became the newest slogan of modernization. Modernization in China has meant mainly economic growth, but over time it has also included new attitudes towards science, conservation and the protection of biodiversity. In retrospect, it is clear that there were always more than “four modernizations,” and that the conflicting ideas could not march forward in perfect harmony. The Yellow River and its delta have now become a testing ground for competing forms of modernization. Hou Shen is an associate professor of History at Renmin University, China.